Well, I have been prepping for the CCNA Voice the last four weeks, and was feeling pretty good about how far I have come. Now though, that plan is going to be put on a hold for a little bit. Due to big things coming down the pipe at work, I am going to have to start some Nexus, and data center training. That is going to have to be my path for the foreseeable future which I am very excited about. I started training and preparing for the data center written late last year, only to quit because I felt that without real day-to-day, hands-on experience, I would only become a paper tech. But now, the real hands-on, day-to-day work is coming, whether I am prepared, or not. I would rather be prepared. 🙂 So this will be my new path going forward, from here on out. I will continue on with all my INE data center material, and hopefully get the written done well before summer goes full tilt here in Western New York. If you are prepping for the lab this is something I am sure you are going to want to catch. Starting tomorrow, September 24th 2013 at 10:00 PDT (17:00 GMT), I will begin the running the new CCIE Security Advanced Technologies Class for the newest version 4.0 blueprint. Online streaming of tomorrow’s class is free for anyone to attend. Simply login to http://members.ine.com and then browse to the streaming url of http://ine.co/scv4. A link to the streaming page is also located in the members dashboard. 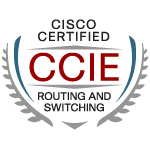 Tomorrow’s class will start with an introduction about the scope of the CCIE Security v4 blueprint, including the hardware and software versions, as well as the specific technologies within the scope, and then will continue with the technical topics of IOS Firewall, including stateless ACL filtering and stateful filtering with both CBAC and ZBPF. As everyone knows INE has made INC 5000?s list of fastest growing educational companies for two years running and we’re having our best year ever by roughly 30% over our 2011 numbers. With this growth INE is once again expanding. Starting mid-January 2013 INE will have a new office in RTP, NC. The office in RTP will be for sales and support so that means sales will be available starting from 6am EST (-5 GMT) in January. We’re also doubling the size of our datacenter in Reno, NV in January. We’ve signed the lease on the building next to our current Reno datacenter and are close to finalizing the RTP sales/support location. We’re looking for a mid-level rack support engineer for the RTP office location and for Reno. Hours would be from 6am to 2pm Monday through Friday for RTP and 9am to 5pm Monday through Friday for Reno. For the Reno location I’m willing to relocate the right candidate and their family within the US. These will be fulltime permanent positions.